Bad: Rather big plotholes, diffiiculty spikes toward the end of the game. 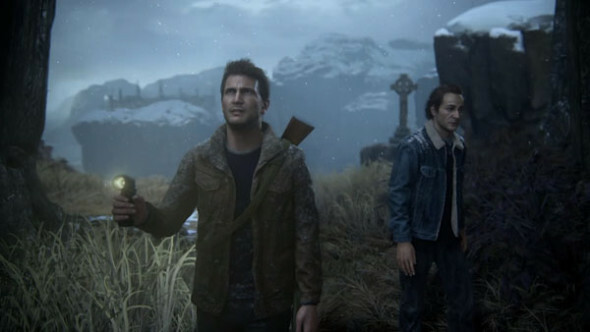 Weep upon thine controller, for Uncharted has reached its final installment. No more shall we see Drake spew whacky one liners or fire off into gripping action sequences. For one final time we’ll look at the set pieces and be awed again. The final part is said to be the biggest adventure Drake has undertaken, and he’s not going at it alone. You are Drake, and after several tumultuous events in the previous three main games and one PlayStation Vita game, you’ve decided to throw in the towel. No more chasing after wild theories and thwarting evil diabolical plans, or helping them along in chasing after artifacts. PSYCHE! For one final time he’ll indulge us and you’ll be at the helm of the boat as Drake sings his swan song. Is the story formulaic? Yes. Is the dialogue still filled with one liners and quips, puns and snarky comments? Yes. Is it predictable at times. Sadly, yes, but it works. Why change what isn’t broke? Usually Drake would be the one who got all hot and bothered when the mere thought of giant treasure loomed on the horizon. No longer: Drake has finally matured and seen that there’s more to life than just treasure. Circumstances being what they are, he’s dragged into one final adventure to save his brother. There’s a giant plothole which kind of gets resolved, but only if you don’t think too much about it. Then there’s the plot twist, which, because the game is so straightforward story wise, will catch you off guard. In the previous chapters in the series, as the game progressed, a supernatural element reared its head. Not so much in this installment. The creators probably focused on having a coherent story and the interpersonal reactions and a supernatural element might take the focus away from that. This is where the game becomes a mixed batch. It’s a PlayStation 4 exclusive, and you might be thinking that automatically results in stellar graphics. 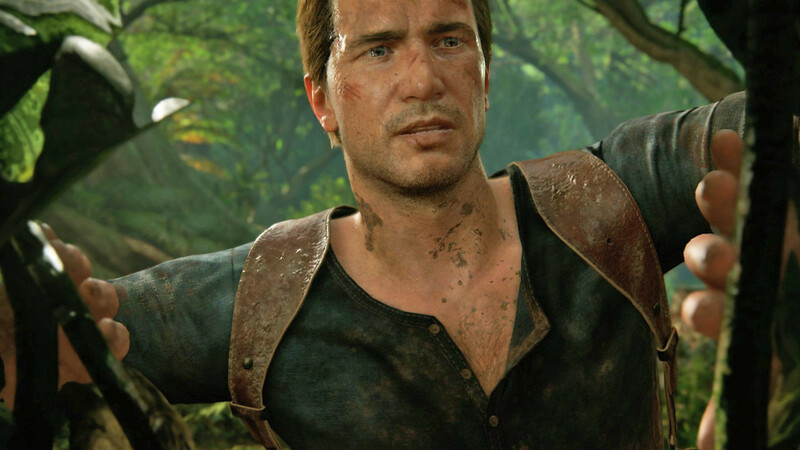 It needs to be said, the graphics are pretty, yet somehow it feels like Uncharted 4 could also be released on the previous generation console and nothing would be added. If you look at ‘The Last of Us’ then you know what the PlayStation 3 is capable of, and what Naughty Dog is capable of creating visually. If it were to be on the previous generation console, then the texture pop-ins, the graphical glitches and grainy particle effects might have been excusable, but now, not so much. The game has already been postponed twice. With this in mind, the graphics should have been more polished. 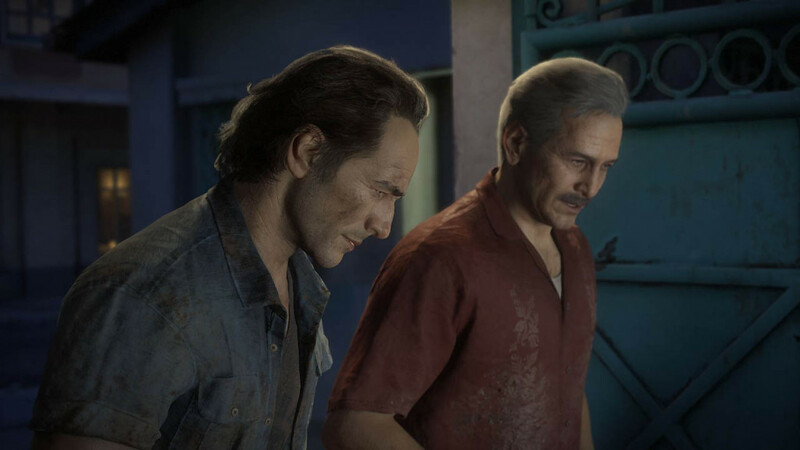 Troy Baker and Nolan North are the voice actors of the Drake brothers and it needn’t be said that they perform stellarly. This can be said about every voice actor in the game. The music is both beautiful and fitting and the tracks blend into each other fluently. Whenever you bump into enemies and a gunfight ensues, the game shift the track into a higher gear. When every enemy has gone down, the music returns to a soothing track again.The sound effects are uncanny, from the footsteps on different materials to the sound of Nathan sliding across different surfaces. 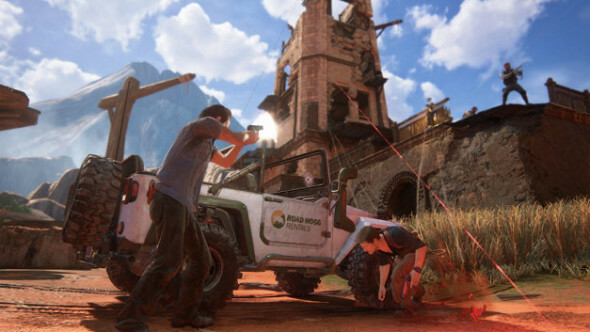 Uncharted 4: A Thief’s End is an action adventure game that combines platforming with gunplay and puzzles. It’s no different from the previous entries in the series, with one slight addition. You can opt for auto aim which snaps the crosshairs to the enemy closest to where you are aiming. This is great if you want to focus mainly on enemies, however this makes using environmental takedowns more difficult as you’ll have little way to aim at exploding barrels. At first the game will let you walk through the battlefields with you picking off enemies one by one with your trusty handgun. Right up to the last 2 chapters where Uncharted 4, all of a sudden realises that things are a little too easy. With the fear of the player actually falling into a bored-induced coma, they ramp up the difficulty of the combat. The stealth parts in the game are really well executed and no longer feel like a tacked on feature, right now you can sneak around and pick off enemies one by one. The game has an inconsistent way of holding your hand throughout the adventure, at one point it might contstantly remind you of what the next step is, and on the other hand it might just completely ignore you bumbling around the map looking on how to continue. The puzzles are really straightforward and you won’t have to rely on the notebook to solve every puzzle. The final boss is a major letdown as it is mainly a quick time event. With this being the ultimate part of Drake’s journey a slightly more fitting bossfight would be in order, not one where you press triangle and circle to block and occasionally press square to attack. The Order 1886 got flack for just being 6 hours long, and the developer tried to bury that little factoid. 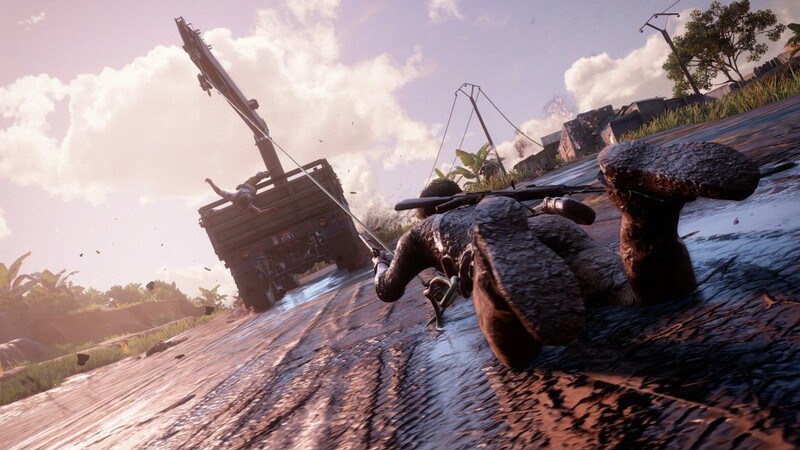 Yet Uncharted 4: A Thief’s End takes pride in the fact that an able player can finish it in under 6 hours. The proof lies in the fact that the game will even reward you with a silver trophy. Whether or not this is a slap in the face or an extra challenge is probably best left in the middle. Alongside the rather long singleplayer campaign, sits the multiplayer that even though it’s an extra, it’s a well worked out extra. No content hidden behind paywall-like dlc, but everything is unlockable by playing online matches. So the more you play the more you get. 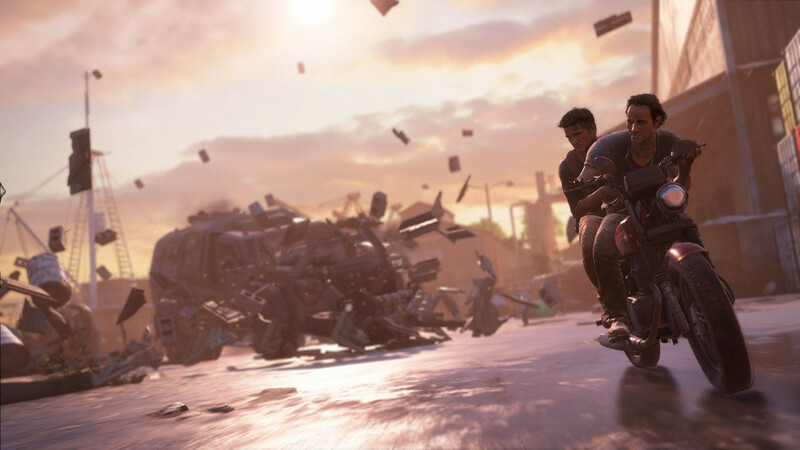 If you are a fan of the Uncharted series, then this will be right up your alley, if you are new to the series, then the accessibility of the game will speak to you. Not a fan of the series because of the supernatural elements and the rather immature way Drake acts? Then give this game a shot, Drake is no longer truly interested in the dangerous hunt and actually has more depth than a half an inch puddle, personality wise.